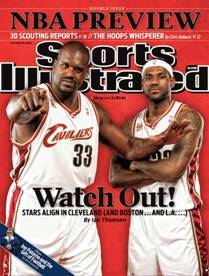 Cavaliers two mega stars Lebron James and Shaquille O’neal made the October 26th cover of Sports Illustrated. The featured article by Ian Thomson talks about how the upcoming season might be the most exciting title chasing seasons in decades. Few teams have been able to take advantage of the current economics recession. Twenty five out of thirty teams have been trying to dump salaries. The Cavaliers, Celtics, Magic, Lakers and Spurs were able to capitalize on the current situation and hoard talents. The Cavaliers added O’neal to help James and stop Haward, the Lakers became more intimidating by adding defensive power with Artest to help with Kobe, the Magic became more explosive by adding Vince Carter, and the Celtics added more experience with Rasheed Wallace. The Spurs took advantage of the Bucks financial situation and added more depth with Richard Jefferson. With a deep team like the Cavaliers, Lebron might be playing with the best talent he will ever play with in his NBA career. So if you are a Cavaliers fan, Lebron fan, Kobe fan, or just a basketball fan, this season should offer you some real pleasure. 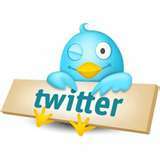 Competition — that’s what I like, as long as we’re getting better too,” LeBron says. “It’s going to be crazy, especially when we hit the road. It’s going to be fun.